Finding quality leads online and successfully converting them to paying customers absolutely requires your business to master the use of landing pages. Knowing when and how to use a landing page effectively can cause your close/win rate to skyrocket and drive success for individual online campaigns. Customized, high-converting landing pages accelerate online leads through your digital marketing funnel. They provide a crucial tool for bridging the gap between a curious click and a conversion. When someone clicks on a marketing campaign link leading to a custom page, it takes them on a concise and controlled journey with only one implied outcome. All of the factors they need to convince a lead to heed the call to action are present on the page. No distractions get in the way. Businesses following best practices like A/B testing get even more value out of landers through iterative improvements. One luxury home builder spurred a 166 percent increase in leads after A/B testing a new form design. So, designing quality landers and optimizing them over time is a crucial part of increasing your sales win rate. But when might your campaign need a custom and lead-focused landing page? Read on to find out how the answer may be “more often than you think” and how to increase conversions through best practices. Landing pages deconstruct all of your marketing and campaign pitches then reassembles them into something simple yet compelling. You essentially optimize the factors that lead to a conversion by designing a page for a specific purpose and a specific audience. This potential gets diluted when you attempt to re-use landing pages for multiple campaigns or for broad target audiences. Hubspot data shows how companies that increase landing page quantity from 10 to 15 see a 55 percent increase in their quantity of leads. This trend likely occurs because more landing pages typically equals a more specific purpose for each one. As a result, individual buyer personas are more directly targeted. Also, each landing page acknowledges the specific context of its campaign. Looking at data like this, it becomes clear that nearly every online campaign aiming to increase lead generation or conversions deserves a dedicated landing page. Additionally, any campaigns segmented by persona should provide a different landing page aimed at specific buyer personas. 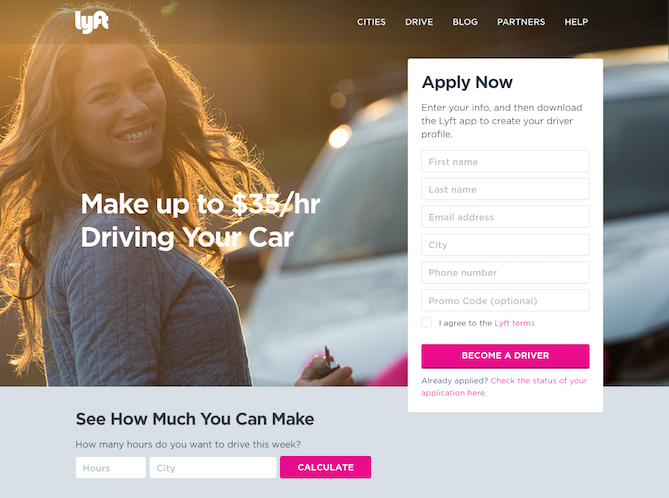 Compare this landing page encouraging a customer to claim free Lyft credits to this one encouraging people to become Lyft drivers. While they do not represent similar offers, they also acknowledge two huge differences in personas. The driver page is encouraging, with a person-centered image seeming to promise opportunity, and a headline to match. 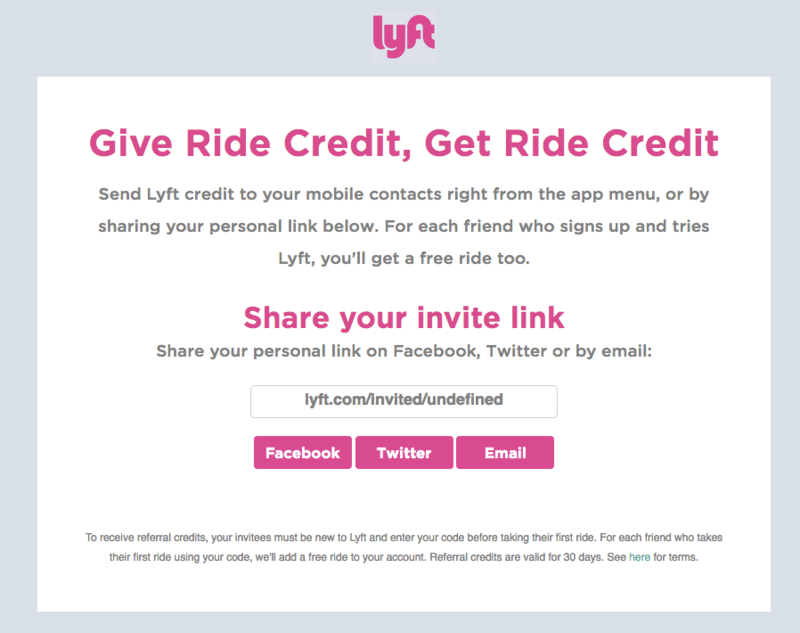 The credit offer page is much more to-the-point, telling people they can benefit from essentially doing some of Lyft’s marketing for them. By treating each visitor according to their unique values and goals, Lyft is better able to persuade people to convert to action. 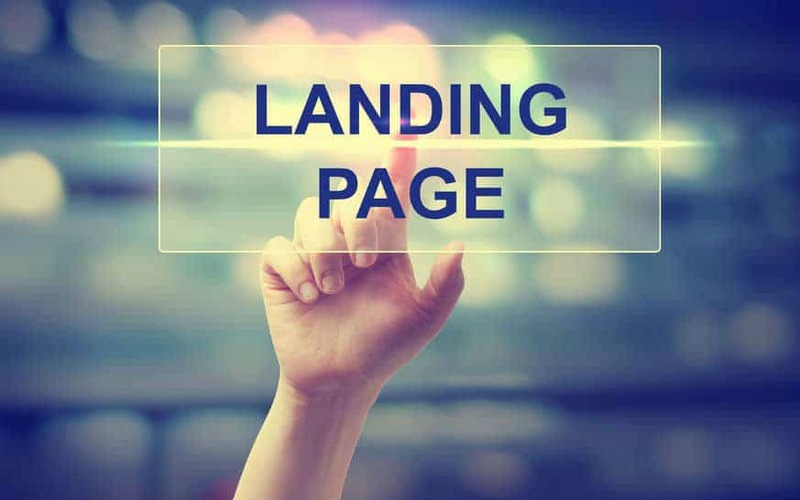 What Situations Can Landing Page Marketing Help With? Landing pages bridge the gap between initial interest and a conversion action. As such, brands should use them nearly anytime they move from an initial offer or promise to a completed deal. Otherwise, someone may get distracted along the way. 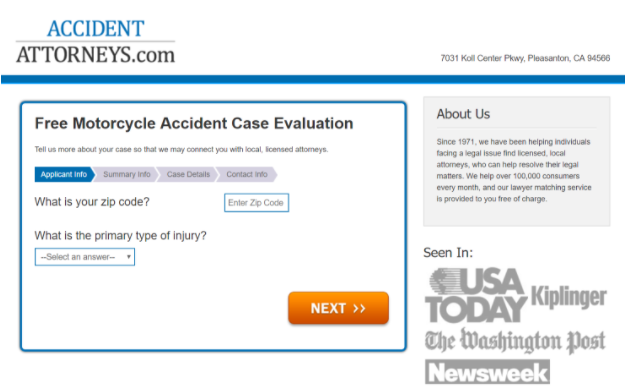 Marketo provides a brilliant example related to this PPC ad using the term “motorcycle accident lawyer.” Without a landing page, a click could dump the person onto a confusing and cluttered homepage. They are forced to find the related content they were promised through the wording of the ad. 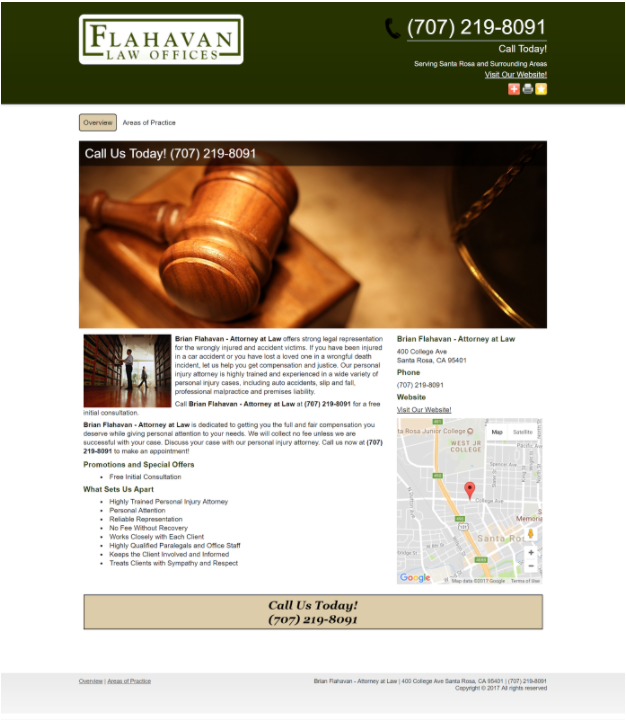 On the other hand, a purpose-built landing page provides an instant portal to the services they were looking for. Landing page campaigns are particularly important for pay-per-click so that you can lower your cost per acquisition. If someone clicks on your ad, you have already spent the money. So, a low conversion rate equals a higher spend on the campaign. Improving your landing page effectiveness over time requires diligent research, testing and a focus on UX. Reviewing all of the practices you would need to stand alongside the most successful landing page users could take days, but here are a few initial tips to grow your skills quickly. Follow the same exact offer and keyword groups for landing pages that you used in the campaign. E.g. If someone clicks on a PPC ad for swimming pool storm damage, don’t take them to a generic page about pool repairs. Use a logical flow of information that starts with a compelling, benefit-focused headline. After that, provide subordinate information and details the prospect needs to convert. Make entry forms as short as possible. Drop-off lowers when you make your offer easy to complete. Use people-focused imagery that looks genuine, not like a stock photo. Your imagery can also draw the eye towards CTA forms. Compare this landing page eyesight heatmap with this one to see what a difference this change can make. Provide trust signals in the form of security badges (e.g. VeriSign), prominent clients, and testimonials. Social proof with images of authentic social mentions can also be highly convincing. Keep CTAs above the fold. For longer landing page formats, use multiple CTAs at key stages of the page scroll. Always optimize and test for mobile responsiveness. Over half of all web traffic happens via mobile these days. Ensure you are A/B testing for variables like CTA placement, button color, form length, form shape and more. SmartBrief grew subscriptions by 816 percent following A/B testing and optimization. Stay posted to our digital marketing and sales blog for further insider tips. An upcoming series of posts will reveal how the most successful companies use landing pages to haul in hundreds of conversions every day. To see all the best practices above in action, take a look at this beautiful example from unbounce. It follows the “inverted pyramid” principle where the foundational benefits are listed first, followed by supporting details. The entry form looks deceptively simple since it captures each bit of data one-at-a-time in a familiar chat format. Key details like “What’s in the Course?” and “Who’s the Course For?” are covered first, with “You’ll learn” as subordinate information. Building trust signals by showing author as a friendly face, followed by familiar brand logos. Further trust signals from testimonials. Getting landing pages right is never easy. Fifty-two percent of businesses consider A/B testing the most effective method for optimizing conversion rates. Yet, 18 percent also consider it the “most difficult” tactic. Symphonic Digital provides the solutions you need to tie landing pages within other campaign strategies and optimize their results. We offer A/B testing, strategic consulting, landing page construction, monitoring, optimization and more. See how we help you master landing pages and become a more effective marketer when you contact us today.